Blog Blue Prism How to Prepare for Blue Prism Developer Certification? How to Prepare for Blue Prism Developer Certification? 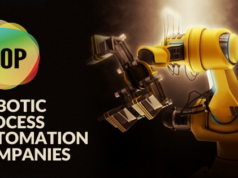 If the world is revolving around automation, RPA (Robotics Process Automation) is the new feather cap on it which has become the new hype for organizational automation process. The reason behind is, stand-alone automation tools are not enough to get the best benefits and there comes the RPA. And if you are among them who are opting to grab at least one single position from 80% job openings in RPA field that relates to developer role, then nothing can do better than Blue prism developer certification preparation. As a certified Blue Prism professional, you can expect an annual salary of $70,000 whereas without certification it could be $43,000. Hence, it is evident how the Blue prism certification places you in the job market. So, Blue prism certification preparation is a crucial one and needs a proper roadmap. 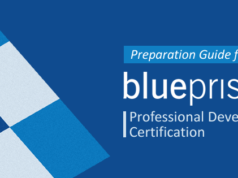 In this blog, we will provide an overview of Blue prism certification preparation. Share this article on Twitter and Get 25% OFF on Blue Prism Developer Certification Courses. Share it now and send us a mail to support@whizlabs.com with your Twitter post link. Easily secure job not even in IT but also in RPA industry in any domain. Earn more than other technology similar experts parallel to Blue prism. Why Organizations Seek Certified Blue Prism Developers? RPA is a sensitive area where errors may raise a lot of problems. Hence, organizations always seek candidates with top-notch skills and no doubt a certified candidate is the best choice for that. Certified Blue Prism developers can simply fulfill all the specific demands of the organizations by ensuring the most straightforward procedures. Through proper Blue prism developer certification preparation, a certified candidate exposes to multiple technologies that help them to choose the best-derived result. With better familiarity with core concepts in the automation, they easily can maintain the data through automation approach. Blue prism sets a high standard accreditation process through its certification exam so that the certified candidate can maintain the enterprise RPA delivery standards. Hence, the exam covers concepts as well as hands-on based questions. The Blue prism developer certification cost is around $65. Let’s have a look at the exam information before you start your Blue Prism Developer Certification Preparation. Who can Go for the Blue Prism Certification Preparation? RPA is ideally to be born right so that anyone can automate. Hence, anyone can go for Blue prism developer certification preparation provided they met the necessary conditions set by Blue prism. This accreditation exam needs minimum three months of Blue prism hands-on experience by the candidate. Along with that Blue prism has set its developer accreditation path which must be followed whether you are from technical or non-technical background to sit for the exam. Try how many of these Free Blue Prism Developer Questions you can answer correctly! Additionally, you need to do self-assessment on Blue prism certification exam questions similar to actual exam through this accreditation path. This path clearly shows a step by step move to grab the required knowledge base for the exam which you must follow during your Blue Prism Developer Certification Preparation. However, if you are from non-technical background then undergoing Blue prism training is mandatory for you, On the other hand, if you are from a technical background, then online training can enhance your potential knowledge on the platform. Non-techies who are interested in pursuing a career in robotics areas. What is the Blue Prism Certification Registration Process? The entry criteria for appearing for any Blue prism certification is a Blue prism portal account. Any Blue prism certification registration is done through Pearson VUE web account that needs a valid Blue prism portal account. Once you have a valid Pearson VUE web account, you can proceed for Blue prism certification registration procedure. Blue prism has meticulously designed the certification outline that mainly focuses on the below areas. It is advised from Blue prism that the candidate must complete Blue prism developer Foundation training along with self-assessment to get the proper idea on Blue prism accreditation questions and answers for successful completion of the certification exam. Why is It Important to Practice Blue Prism Accreditation Questions and Answers? Not to mention, the second one needs lots of understanding and practice and are not just understandable through documentation. So, rigorous practice through Blue prism developer certification dumps is no doubt a workable solution to go through the accreditation exam smoothly and must be an essential part of your Blue Prism Developer Certification Preparation. Blue prism does not offer any Blue prism developer certification dumps. However, you can get the help only from a good training provider. Preparing for Blue Prism Developer certification exam? Check your current level of preparation with our Blue Prism Developer practice tests. Good understanding of the SOLID principles to develop a quality process related to the layout as well as responsibility delegations. Utilization capability of robotics to derive the favorable outcomes for the organizations. Do you need Blue Prism Training as part of Blue prism developer certification exam preparation? As RPA implementation has taken just baby steps so RPA technology like Blue prism must be learned carefully. Moreover, you cannot get Blue prism developer certification dumps from the official website, neither they encourage it. Instead, Blue prism strictly prohibits to share the real-time exam experience outside. Hence, getting training is a must. Though Blue prism itself provide online training but practicing exam simulation is essential through Blue prism developer certification practice questions. 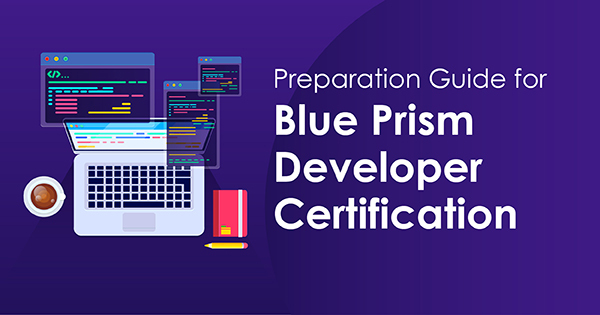 Apart from experts recommendations and tips, you need to follow the below-mentioned technical tips for the Blue Prism Developer certification preparation. 1. Practical knowledge is essential. Hence, practice Blue prism developer certification questions as much as possible to get familiar with actual exam scenarios. 2. Concentrate on technical logics and practice diagrams as much as possible. 3. Make a clear understanding of objects and session variables because this is one of the areas where most of the candidates get confused. 4. Though theory questions seem easy, they could be tricky as well. So, brush up your theory part well. 5. Put stress on the application modeler and attributes as these are another critical area. RPA best practices direct the roadmap towards ‘total workforce’ in the near future. This clearly indicates that RPA will be integrated with the human workforce. Hence, RPA skills measure a lot in the present and upcoming job market with leading RPA software platforms like Blue prism. On the contrary, RPA developers are in an undersupply considering skills, training, background and most importantly in terms of experience. Thus if you are one of the certified Blue prism professionals, no doubt you are ahead in the race with a guaranteed job and high paychecks. 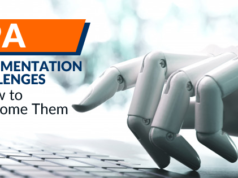 So, let’s start your RPA journey with Blue prism developer certification exam preparation with Whizlabs. With the guidance and research of our certified professionals, we have created Blue prism developer certification practice tests which will leverage the scope of enough practicing of Blue prism accreditation questions and answers with complete support from our expert team. Still thinking? Join us today and take a step ahead towards your dream job! Want to know more about Blue Prism Certifications? Just submit your query below in the comment box or contact us at Whizlabs Helpdesk, we’ll respond to you in no time. I am planning to take blue prism certification. Is it possible to get a handson experience before I try the exam? I think they have good material. but not enough to pass the exam. need improvement in debugging part in AD01 exam .i took the exam but unable to pass the exam after I have to go through all practices test. I am looking for training and also assistance in certification. Both will help you, But UI Path cost is cheaper & BP cost is high.